Many students delay writing a research paper from the very beginning of the writing process. This happens due to many reasons. Most often, students experience writer’s block where they open a document but can’t start writing. Another common reason is lack of experience. In this case, students don’t know how to begin the introductory paragraph, have no idea how to prepare a creative and successful thesis statement. Some students solve this problem by ordering the needed paper. However, we have another solution. You should review the elementary rules of writing this type of work because a lack of understanding often results in self-doubt and giving up. The next step is choosing a topic. 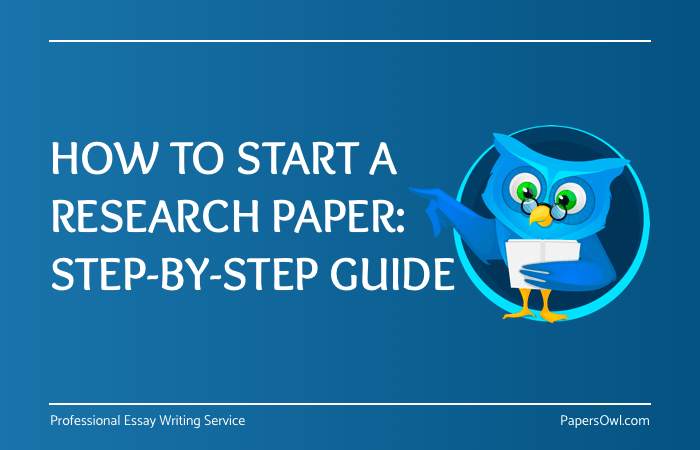 Starting a research paper won’t be so difficult if you have chosen the right topic – if you are interested in and inspired by the chosen topic, this will help you write faster. If you are concerned that you will never write a thesis statement without giving your blood, sweat, and tears to the scientific gods, we offer you this guide. When you use obsolete tools and methods, you will need to spend hours studying relevant literature. To write a research paper, you should overcome the painful procedure of sorting scientific sources. Or you can optimize it and spend much less effort. Read the guidelines of the research. Generally, professors leave basic recommendations on writing a thesis. This step facilitates the process of its searching and provides you with a pleasant start. There you may find the desired sources that are verified and highly respected in the scientific community. Choose a research paper topic. This is one of the most breathtaking tasks. The research paper topic sets the pace for the introduction and creation of the thesis statement. You can find one that matches your interests simply by surfing the internet. You should get the teacher’s approval before starting your work. Do the research: facts and examples. The most complicated and exhausting part of drafting a successful statement is searching for reliable information. If you've searched the entire internet but haven't found the facts you need, it’s time to ask the professor. He is the one who can help you with this task. These are the people who personifies the brick and mortar library and has all the answers to difficult questions. Create a research paper outline. Having the previous stage done, start drafting. During this stage try to plan out the main ideas of the work. The research paper outline prevents mistakes that may be made. By and large, it wouldn’t hurt to draw up a plan of the work. Create a thesis. You will understand the advantage of this step while writing the fundamental part of the statement. The thesis helps you keep yourself on the right track and not get lost in thoughts. Therefore, create a strong and detailed thesis statement. Brainstorm and formulate several theses. Ensure your hypothesis is evident. It is the key to understanding and evaluating your entire work, which is why you want to include all the information needed for comprehending your topic to not mislead or confuse your reader. You should do your best to make your thesis flawless. However, it is okay if you face certain difficulties. It is not easy to formulate a good thesis and if you are unsure of your skills or knowledge, we advise you to use a thesis statement generator. Such tools will help you cope with this matter fast and easily. Make a brilliant intro. How to write introduction paragraph? Writing the opening clause for a paper can be a time-consuming and frustrating process but if you prepare well, wrote an outline, and chose a good subject, this won’t be too difficult. You should already have a great thesis, background information, and a research question, so now all you need is to make an interesting hook to catch the readers’ attention and organize everything you have in one paragraph. Write your research paper. We have come to one of the most exciting and terrifying steps. The writing of the essay itself. Grab your primary trains of thoughts, facts, quotes, and statistics and start the essay. If you have heeded to the guidance, it shouldn’t be hard to do. Cite your sources. When you complete the research paper, it's time to note the literature you have used. Specifically mention all of the original sources that have been involved in the essay. The perfect essay finds everyone’s reverence even when the person doesn’t understand half of it. The essay should be moderately long and not confusing. The ordinary reader shouldn’t forget what was said at the beginning while reading the middle of the work. Combine several short sentences into one and do not hesitate to utilize every word and give explanations to obvious things.